Rhinoplasty (nose job surgery) is now a common procedure used by people around the world for cosmetic or medical purposes. An ENT doctor may recommend this type of surgery in order to alleviate chronic sinus problems, for example. In many cases, people elect to have cosmetic nose surgery in order to improve the appearance of their nose. There are many things to consider when deciding whether or not plastic nose surgery is right for you. For one, if you are undergoing rhinoplasty for medical purposes, you may be able to significantly improve the quality of your life when you no longer have to deal with chronic problems such as difficulty breathing through your nose, constant nose bleeds, headaches, and any other related issues. In these types of cases, the price of nose surgery may be your only consideration. If you are considering this procedure for medical purposes and are concerned about associated costs, be sure to set up a consultation with a rhinoplasty surgeon who can show you to detailed costs for your particular surgery. If you are considering the procedure for cosmetic reasons, it is a good idea to look over nose job before and after pictures. This will give you an idea of what can be accomplished through this type of procedure and if the change will be worth it to you. Other factors such as your health should be considered. For instance, if you are a smoker, you may be asked to stop smoking for a certain period of time around the procedure so that your body can handle the required sedation during surgery. You will also need to consider cosmetic nose surgery prices to see if the cost fits within your budget. Finally, keep in mind that you will need to go through a short recovery process after the procedure. If you are considering rhinoplasty (nose job) surgery, it will be worth your time and effort to find the very best rhinoplasty specialist in Sydney. There are several tips that you can follow to find a surgeon that you can trust with your important decision. Most qualified Rhinoplasty Surgeons in Sydney have trained in either Ear Nose and Throat Surgery or Plastic Surgery. The risks of rhinoplasty surgery can be minimized by choosing an experienced surgeon. First and foremost, make sure that your surgeon is experienced and qualified, has attained the Fellowship of the Royal Australasian College of Surgeons and meets the requirements of the College’s Continuing Professional Development program. These are the highest qualifications for surgeons in Australia. A surgeon is someone who is qualified to perform invasive surgical procedures. They have studied specialist surgery for a minimum of five years and have at least twelve years of total medical and surgical education. Surgeons are Fellows of the Royal Australasian College of Surgeons (FRACS) or equivalent, and have undergone intensive training to perform invasive surgical procedures. Plastic Surgeons in Australia are members of the Australian Society of Plastic Surgeons (ASPS). ASPS aims to maintain the highest standard of surgical practice and ethics in Plastic Surgery in Australia in order to provide the highest quality plastic surgery care to all Australians. The difference between Plastic Surgeons and other Medical Practitioners is specialist training in plastic and reconstructive surgery. Make sure that the surgeon you are considering lets you know about Rhinoplasty risks and complications. The doctor that you choose to go with should be honest about the procedure and completely open about any potential risks so that you can make the most informed decision possible. You should make sure that you opt for client reviews and that you view nose surgery before and after photos. This will give you an idea of what kind of work the surgeon provides. It is also important to compare cosmetic nose surgery prices. While you want to find a surgeon that offers affordable services, don’t forget to keep their experience in mind. More experienced rhinoplasty surgeons will charge more for their expertise. It may be well worth it in the long run to spend more for experience. At the same time, make sure that you are being offered a fair price for the services that you are requesting. Once you have narrowed down your choices, set up consultations. Finally, use your intuition as you seek the nose surgeon in Sydney that you feel most comfortable with. You are likely to spend quite a bit of time with this doctor while making plans for your procedure, while going through the procedure, and during the recovery process. Make sure that you are completely confident about your decision and about the surgeon that you choose. You will then go into the procedure with peace of mind knowing that you took the time to find a specialist you trust to provide the best outcome. What are your priorities in terms of health expenses? Are you someone more likely to direct available funds towards “essentials” or do you think that elective procedures are just as valuable and important too? This is actually a very interesting concept when the subject is “rhinoplasty”. This is surgery done on the nose and it can be corrective or cosmetic. What makes it interesting where health expenses are concerned is that it is such a controversial topic. Consider that some people believe that they should feel “normal” and that means that cosmetic surgery is a “must”. Others think that you are born with the nose you are born with, but agree that correcting a deviated septum or reducing the size of polyps is a good thing to do. The good news is that both groups are correct. An article in the New York Times cleverly discussed the author’s life-long conflict with her own nose. She simply disliked it and wanted to get it altered. She had various reasons over a ten to twenty year period for not getting it done – with fear of pain cited as one of them. She related many tales of friends who had developed “body dysmorphia” which is a condition that is distinguished by repeated surgeries on one part of the body, and yet no satisfaction with the outcome. In each of the tales, she mentioned how friends had overdone their efforts to get the perfect nose and ended up with obvious “work”. She admits too that she uses their extreme examples to shy away from her own decision making processes. This is all very useful information for those who are torn about what sorts of expenditures to make. Do you get a face that pleases you when looking in the mirror or do you just get extra mucous membrane tissue removed and leave it all alone? The questions are stimulating and make it a good idea to consider what is at stake. For example, let’s say that you are someone who suffered an injury to the nose in childhood. You have only a slightly noticeable angle to the your nose and yet you also have some difficulty breathing out of one side of the nose. Should you, you wonder, get rhinoplasty that visually straightens the nose or should you get the septum cleared and opened instead? You have to consider the “value” of these choices. For one thing, your respiratory problem could be making your sleep less effective because you struggle to breathe comfortably. On the other hand, you may find that you only struggle when you have a cold or sinus irritation. So, you have to choose whether the cosmetic surgery is something you want to commit the time and effort to doing. A good surgeon is going to sit down with you and review all of the possible outcomes, and help you to make the best choice. This means that you want to get yourself familiar with two different professionals if you are considering any sort of nose work at all. First, you want to have your regular physician assess any conditions. Then you want to have an ENT and a cosmetic surgeon recommended. The ENT is an ear, nose and throat specialist who can give you an accurate examination of the interior structures of the nose. 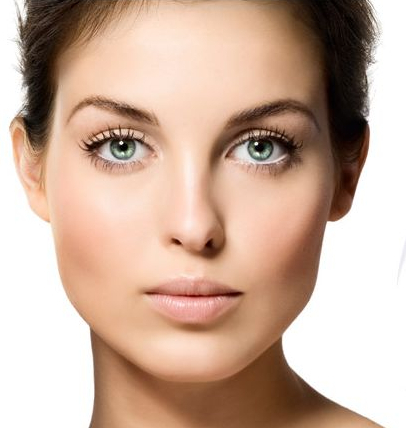 The cosmetic surgeon is the one who can outline the possibilities with the exterior structures of the nose as well. Working with two experienced professionals is likely to give you the best results. Whether you decide to invest in a picture perfect nose or just one that runs like clockwork, you should always work with knowledgeable health experts. The decision to get a nose job is one that shouldn’t be taken lightly. The cost of rhinoplasty is not cheap and the effects of the surgery last a lifetime. It is, therefore, imperative to find a qualified rhinoplasty surgeon in Sydney who is able to offer the best results possible. Make sure your rhinoplasty surgeon has attained the fellowship of Royal Australasian College of Surgeons. The Internet provides an effective tool for finding experienced doctors in your area. You are sure to find patient testimonials, rhinoplasty pictures, and other tools that will help you to determine whether or not you will confident in using the services of a particular surgeon. When visiting individual rhinoplasty clinic websites, make sure that the site offers a wealth of information and that the staff at the clinic is easy to get in touch with for any questions or concerns you may have. Whether or not you are positive that nose job surgery is for you, it will help to discuss your concerns directly with an experienced surgeon. Setting up a consultation will also give you a better idea of a surgeon’s bedside manner, so to speak. You want to be comfortable with the surgeon and confident that they will provide the services you are seeking. The doctor should share any and all rhinoplasty risks and complications with you as well as all surgery options so that you can make the most informed decision possible. Whatever you do, it is important not to rush into any decisions. Take your time in finding a doctor you are confident in. This doctor should have the patience and knowledge to answer your questions and concerns, and to provide all of the information you need before you decide to go ahead with your nose job procedure. By taking the time to find a Sydney doctor who specializes in these procedures, you are much more likely to experience the results your were hoping for.